WordPress is the most commonly used content management system used for blogging purposes. While there are many other competitors in the market, such as Drupal, Joomla, etc. WordPress has still taken the lead amongst all of these. Let’s talk about some features of WordPress that makes it different. So what makes WordPress so popular amongst bloggers and why should you switch to WordPress plugin for your blogging purposes? SEO friendly websites are the way to go, that is if you want your website to rank amongst the highest ranks on Google. WordPress will automatically generate SEO friendly URLs for you. WordPress allows you a chance to download free WordPress plugins, such as All In One SEO Pack, SEO by Yoast, Google XML Site Map, and other such WordPress plugins which makes your web page rank much higher in Google. Not just that, you are also presented with an array of social network plugins, all which allow your website audience to easily share, like and tweet about your web page. One of the most coveted features of WordPress is the basic simplicity of it. Whether you are an amateur or a pro, you will not face any issues when it comes to adding and managing content on WordPress. As a WordPress designer, you will be able to do all the tasks without the need of a developer. The level of customizations available on WordPress makes it extremely popular and loved amongst bloggers. Due to the simplicity of WordPress, you will be able to easily handle most of the tasks on your own, without needed to spend large amounts on an in house developer. Choose from hundreds of customizable themes, and create the right in house team which will focus and allows you to manage all the functions of WordPress easily, without any hassle. Due to the beauty of its simplicity, anyone can manage WordPress easily on their own, with the help of a few tutorials. This means you can save tons on hiring an in house developer. You can also easily monetize your website using various e-commerce plug ins and theme solutions. This means that you can very easily manage all your sales using various plugins, and make money off your page. One of the best parts of using WordPress and becoming a WordPress designer is the huge, extended community you will come across on WordPress. This means that as a beginner, you will be offered various helping hands by enthusiasts, who want to offer free advice based on their own experiences on WordPress. This community helps you feel one with the crowds, and learn all the most interesting tips and tricks which you require when on WordPress. There are pages full of FAQs where you will find the answers to all your questions. You can also rely on assistance from the other community members, so you will never feel lost. WordPress is one of the few places where you will be offered such a large variety of customization options, theme selections, and flexibility of features and options, all for a very low cost. If you are working on a budget, WordPress is the ideal solution for you, offering you low-cost options even for the Premium selections. With all these amazing features, WordPress continues to be the leading content management systems amongst other CMS. Hop on to WordPress to enjoy all the benefits and features for your own website. 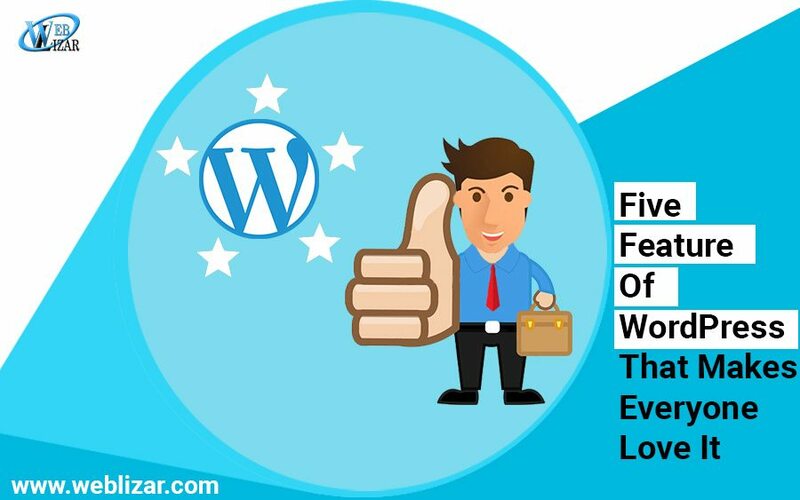 WordPress is already a very famous choice for CMS users, and these factors are some of the known factors why everybody loves WordPress so much. Make sure you are using WordPress if building a website on CMS since it is the first and foremost and most versatile CMS out of all other PHP cms. Content Management Systems (CMS) are being liked by many because of the simple use and drag and drop options it provides. The best websites today are powered by easy to use CMS that allow you to make changes to a website without needing to touch a single line of code. And that’s the reason why many CMS came into the market with some great building options but only a few of them survived. 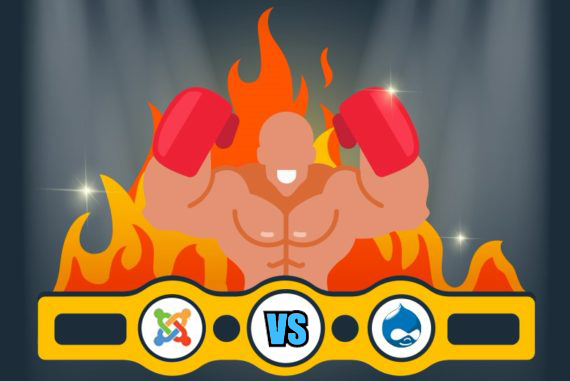 In this blog post, we are going to take down some factors that differentiate two of the major CMS in the market Joomla vs Drupal. Joomla and Drupal both offer great features, tons of customization, ease-of-use, and strong security. And yes, they both are free. Choosing the right one can be difficult because they both are good options. But chances are, one of these two will fit your requirements the best (whether it’s making a simple business website or running a social networking site with several functions). Choose which one suits your needs better, Let’s move to our in-depth review. Drupal is the third most popular content management system available today, used by sites both large and small. It’s among the most powerful open sourced options available, which means it’s learning curve is also a bit steeper. Joomla is the second most popular CMS. It’s like the compromise between WordPress and Drupal. As the second most used CMS (behind WordPress), Joomla also has a lot of plug-ins and themes available to choose from (around 6000 or so) similar to both WordPress and Drupal. So customizing the look and feel of your site shouldn’t be a problem. Help Portal – Joomla offers a great help portal for asking questions and getting technical support. It’s not fast or extensive as WordPress’ community-based support pages but is definitely quicker (and cheaper) than Drupal’s technical support options. Everyone will say their content management system is the best. Both are excellent choices in most cases. But your own unique scenario will require different capabilities, which probably makes ONE of these two CMS options the perfect fit. If you have high hopes from day one that your site will grow significantly, requiring extensive features and unlimited customization’s, take the plunge with Drupal. Undecided whether to go with making a simple blog site or an extended featureless more extensive website for, or need something unique like a social network or eCommerce site, Joomla might be the best bet. Both the platforms are free. Whether it is Joomla or Drupal, they both has a variety of features and being used by many according to their use. Now, it’s up to you whether you want some complex heavy set of a website or some not so complex simple and easily customizable website. Both has their cons and pros depending on what purpose they are being used for. Choose for yourself! And to extend the knowledge bank, you can also read WordPress vs. Medium – Which Is The Better Choice and How To Improve SEO In 2017. People usually raise this question that why they should use WordPress rather than other different free blogging services like Blogger, Ghost, Tumblr, etc? Medium can prove to be a quick growing free blogging platform that permits anyone to form stories and have their own personal area on the net. 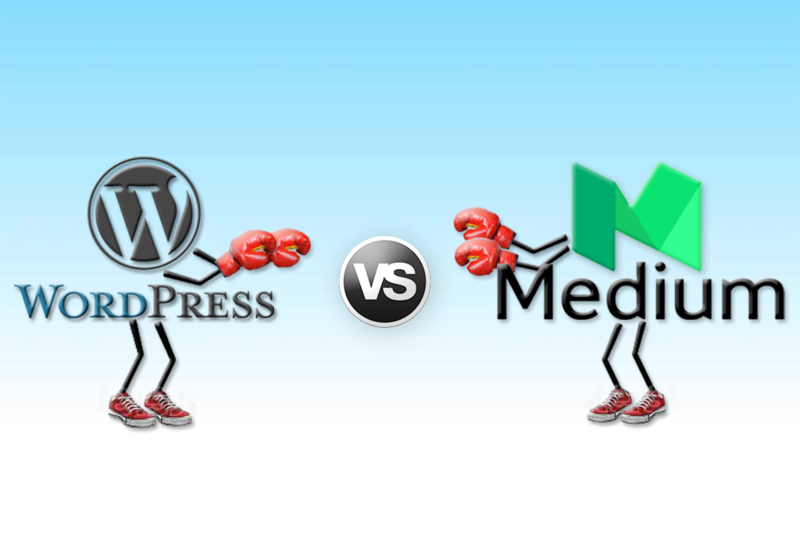 in this article, we are going to compare WordPress vs Medium with the pros and cons of both the platforms. Medium proves to be a free on-line community where anyone can share their stories. It’s simple to use, reliable, and has integral social networking options. However, at the end, ou do not own Medium. It is owned by ‘A Medium Corporation’, and they can plan to shut it down, announce new evaluation plans, or cancel your account at any time. On the contrary, WordPress permits you to possess your own content. Since you own your website, you’ve got full power over your information and who you want to share it with. When you are using Medium, you’re promoting their complete brand alongside your stories. You can’t monetize that. If you’re not a known author, chances are high that Medium users would not bear your name in mind reading a story on Medium. The medium also displays content from different authors as next recommended option for you to read below your own story which results in your users going away to browse articles by different brands and authors. On WordPress, you’ve got full control on how you would like to push your brand or yourself. As your website grows overall, you alone decide the way to take advantage of your content and brand recognition. Your content, ideas, and concepts are recognized by your name alone. Since you’ve got full ownership of your WordPress website, you’ll be able to do plenty more to increase the time users spend on your website. Medium permits you to decide a layout for your publication. You add your own brand logo, background color, or image to the header. For layout, you can select grid or stream type of layout. This drag and drop editor is incredibly simple to use and offers multiple customization choices. For more choice of plugins, you can click here. However, still, your publications look is restricted to the alternatives offered in Medium. you can not select your own style and layout for your website. On the other hand, there are thousands of free and paid WordPress themes out there in the market. These themes are designed by professionals with innovative styles and unlimited customization choices. WordPress provides you the pliability to create a website that appears uniquely yours. If you can spend a little more bucks, then you can easily get designers and developers to give exact shape to your imagination. Medium permits you to export your data in HTML format. This makes it tough to export your data into alternative platforms like WordPress. Responses and likes on your articles can not be exported. Setting up redirects from Medium to WordPress is almost impossible. even though you’re using a custom domain on Medium, you’ll still need to manually setup a redirect for each and every story on your new platform. As an open source platform, WordPress provides you freedom to maneuver all of your content. you’ll be able to import/export your data from WordPress using data retriever plugins. You can additionally import/export users and comments. WordPress also comes with superb backup plugins that permit you to revive and migrate your website to a replacement host or perhaps a brand new name. Medium comes with in-depth documentation and a price ticket based support system. Currently, support is free for all users. Answers are provided by Medium employees and their reaction time depends on the amount of support requests they have in que and need to be finished fast on priority. WordPress is a community driven project. It powers over twenty-sixth of all websites on the web. Free community support is offered by through WordPress.org website. Apart from that, you may notice WordPress support on infinite third-party platforms like StackExchange, YouTube, SitePoint, etc. Medium is a completely hosted platform, which implies you don’t need to worry regarding the software package. Your content is served by extremely secure Medium servers. Your non-public info is kept secure using the necessary security measures. WordPress is a self-hosted platform. this means that only you are answerable for safety and security of your web property. WordPress is well-known for its fast response to security problems with immediate updates that are automatically fixed on several WordPress sites. Medium is a private company owned by ‘A Medium Corporation’. Currently, the body has restricted monetization choices offered by partnerships with choose brands for fewer publishers. We don’t know for sure what the fate holds for Medium. It will survive and build dollars grow as an organization, or is it going to disappear like dozens of different other free content hosting services preceding it. WordPress is an open source project, managed by a community of thousands of freelance developers and users. WordPress Foundation protects the legal freedoms of WordPress that ensures that the project can continue even though core developers leave the project. It has been around for over thirteen years and has grown up into the biggest content management system within the world. It wouldn’t be wrong to say that WordPress is going to be around us for years to come. Hope you have enjoyed this little bunch of information, keep coming for more. Or if you want to know Top 10 PHP Content Management Systems of all time.